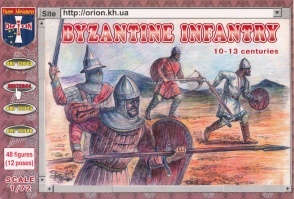 72044 Byzantine Infantry (10th - 13th Century). Released 2012. 48 unpainted plastic figures. 12 different Poses. Material Plastic.